We’re down to the Final Five on the second season of King of the Nerds and the individual game has begun. Jack and Zack are the only two fingers that remain from the hand of Midas and there are three Titans blocking their path to the throne: Kayla, Brian and Xander. A clink drink toast is held for fallen Titan Chris, but Xander is happy that Brian is still in the game. Outside, Jack and Zack enjoy a celebratory sword fight on the steps of Nerdvana and are soon joined by others. Zack tells everyone that at this point, they are all Kings and Queens of the Nerds to him and that no nerd is really better than any other nerd. Now I ask you, is that something that a villain says? Nooope! Zack is an Anti-Hero. When Curtis calls all nerds to the courtyard there are no funny costumes, but that’s cool and I’ll show you why in a bit. It’s Live Gaming Week in Nerdvana and the first individual Nerd War is called Nerdio Kart. Not only will the winning nerd be safe from banishment, but they will also hold the fate of a fellow nerd in his or her palm; the winner is allowed to vote one person into the Nerd Off and the remaining four will vote in the other. No other details are given about the challenge and the nerds are sent back to Nerdvana with three hours of study time. Xander isn’t sure what will be involved, but he is sure that his skills as a gamer will help him do very well and Kayla, a car enthusiast, is also feeling very confident. Zack; however, is not feeling so great. If they have to do any driving, he’s certain he will lose – Because he’s never driven a car and doesn’t have a license! Time for the Nerd War! See what I mean about the lack of funny costumes? Tronified nerds is far greater! For this War, each contestant will drive their own Nerdio Kart for 12 laps around the course. First place snags 5000 points, second 4000 and so on, but bonus stars will light up around the track that are worth 250 points each if the players can drive over them. Each Nerdio Kart is in a randomly assigned position: Zach is in position one, Xander is in second, Jack has third, Kayla starts in fourth and Brian is in the final position. After the race starts, the players maintain their positions until Xander bumps into Zack leaving a gap open for Kayla to slide into the lead. With ten laps remaining, the bonus stars begin to appear, but Kayla has a good lead on the boys – she totally laps Brian who has fallen into last place. According to Jack, people are crashing more than Microsoft! And “curse his bleeding heart”, Xander stops to make sure people are okay. With only one laps to go, though, Xander has managed to get snuggled up next to Kayla in second place and is relying on his collection of bonus stars to beat Kayla. Everyone is relying on bonus stars to beat Kayla because she is so far ahead of the boys at this point. Bonus points end up not meaning a thing, though, because Kayla has enough of them to win the Nerd War with Xander finishing in second. It is because of his performance that Kayla shares the reward with him: they will each receive a Telepresence Robot from Double Robotics worth $2,000! While Kayla and Xander play with their new toys, Jack and Zack talk with Brian. They know they are at risk of going to the Nerd Off and they are curious as to who Kayla might vote into the competition. Actually, everyone is curious about who Kayla is going to target. It’s the talk of the Nerdvana. As Brian says, the “great game” is afoot; everyone is breaking off into pairs and trios to talk strategy. Xander and Kayla must have received a special dinner reward in addition to their awesome Telepresence Robots because they are outside on a patio eating and chatting, away from everyone else. Based on the assumption that Kayla votes for Zack, Xander is pretty sure that Jack and Zack are going to vote for Brian because Xander is a gamer and the dangling fingers of Midas want to protect themselves during Live Gaming Week. If Xander and Brian vote for Jack together, Kayla will have all the power because she will have to break a tie. Later in the T.A.R.D.I.S Brian is talking with Kayla; for his game, it would be ideal if Xander were up against Zack in the Nerd Off. When Brian leaves, Zack enters and Kayla slips into the conversation that Xander may be a viable candidate. Zack then walks in on Xander and Jack talking game; they discuss the possibility of voting as a trio to put Brian into the Nerd Off to avoid the tie. Then Zack tosses some firecrackers into the box; Kayla might target Xander. Boom! The next day, the remaining Titans are having breakfast when Xander announces that he has created “Xander Bombs” throughout Nerdvana: If you vote for him, there’s trouble for you. Kayla is free to vote however she wants, but Xander has terms. Of course, Kayla doesn’t take this very well, she had no intention of voting for Xander and she lets him know that he probably just hurt himself more. Oops! Awkward! And for those of you who don’t know what this whole “Leroy Jenkins” thing is all about, watch this video. To the throne room! Things play out a lot like last week’s episode of Survivor Cagayan; Kayla votes for Jack, (not Zack! – Kayla is more scared of Jack’s brain), and the boys split their votes between Brian and Jack. Since Kayla won the Nerd Off, she breaks the tie and she doesn’t stray from her purple alliance, pitting Zack against Jack – the bird flip attack from the hand of Midas will soon be upon the Titans, but who will remain in Nerdvana to give the middle finger? Everything comes down to a game of Angry Nerds – yeah, it’s just what you’re thinking, a life-size version of Angry Birds. In the T.A.R.D.I.S is everything that Jack and Zack need to build a miniature version of the structure they would like to use in the Nerd Off; their builds will be recreated for them. (By the way, they totally use Big Brother music in this show, same music that we often hear in Survivor too). Before the epic showdown, the golden boys get to work designing their structures. Both Kayla and Brian are helping Jack with construction in the Midas Touch Attack War Room. Jack will be using the standard Lego-building strategy of staggering blocks for optimum stability while keeping his Nerds Balls spread far apart, (minds out of the gutter, folks, minds out of the gutter, it’s the best way to phrase it!). In the ToR Room, Zack is left alone to work out his block wall with only his friend Twilly, from the Adventure Quest games, to keep him company and give him advice. Too bad Twilly doesn’t really talk! Zack needs a Melissa-fied Yoda Backpack from Think Geek, but I don’t even have one of those, nor do I possess the skills necessary to modify a Yoda backpack. Maybe Katie could help me… Anyway, Zack is hoping that the game will come down to shooting because, pardon the pun, he thinks he will have a better shot at winning. So how cool is this Nerd Off? The game begins with Rock, Paper, Scissors and of course, Jedi Master Zack wins the choice of going first or second – BECAUSE HE CHOOSES SCISSORS EVERYTIME, COME ON, PEOPLE! Even if he doesn’t win King of the Nerds, Xander is definitely the King of the Diary Room. lol So Zack actually chooses to go first, giving Jack the advantage of watching him shoot the air cannon and learn from his mistakes. Zachary! What were you thinking?! Did the gravity of the situation get to you? You never choose to go first in a competition like this! Anyone that wants to be on King of the Nerds should really watch a couple of seasons of Big Brother and Survivor; you will learn a lot. Both boys miss their first shots and do little damage to each other’s structures. In his second shot, though, Zack scores a direct hit against Jack, but does little to lessen the integrity of the build. Jack thinks it was a lucky shot and in his second attempt, he manages a direct hit as well! Against one Zack’s blocks. No points! Their third shots do some damage to the walls, but neither scores a point, though Jack comes close. Zack’s fourth shot is a miss as well, but Jack has finally switched gears. Instead of aiming for Zack’s Nerd Balls, he’s going to shoot for the structure, which is was a good strategy because it not only does good damage, but also puts him on the scoreboard. Zack’s fifth shot is successful in scoring a point, another direct hit then Jack evens up the score. Only smaller, well-protected, balls remain on Jack’s wall and one of Zack’s balls is precariously close to the edge at to the top of his. Jack doesn’t even need to hit the ball to knock it down, though; a direct hit to the wall is all it takes to bring down the would-be Tyrant King of Nerdvana, Zack, who takes the loss extremely well. He will always consider the nerds to be his friends, and hugs are shared by all. I wanna give you a hug too, Zack! It kills me you’re not going to be in the finale. You deserve to be there, most definitely, but as you put it – All of you are Kings and Queens of the Nerds to me. So we’re down to the final four and the finale episode of the season is upon us! Who will win King of the Nerds? Jumping Jack the Giant Slayer, Xander, King of the Diary Room, Brian the Bard of Bacon or will they have to change the name of the show to “Queen” of the Nerds if Kayla wins the right to sit atop the Thone of Games? Find out Thursday on TBS at 10pm Eastern, 9pm Central! 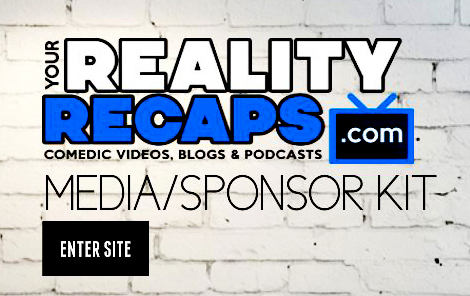 And for all you nerds that are fans of Reality TV, take some time to look around the new Your Reality Recaps website! We cover all the best shows and if you don’t see a show you consider to be the best, let Eric (@RealityRecaps) know! He never has enough stuff to do. : ) I’m also still compiling my list of “Top Ten Things We Learned from King of the Nerds Season Two” – Got something funny to submit? Hit me up on Twitter @thedolphinpoet and I might add yours to the list! Until next time, stay nerdy, my friends. One more thing… On Friday, March 14th I will be nerding out as a guest co-host with my friend @djstweetarazzi. If you want more information, follow us on Twitter!